Native Youth Aren't Looking for Handout: They're looking for a Hand Up! When I was younger I never knew why my mom worked so much. I always thought that it was because she didn’t like being home. The older I got, the more I realized that it was because she is a single parent. She was the only one providing for the family. As my brothers got older, they started working to help her with the bills. There are a lot of problems that come with being a single parent. When one or both parents are gone it is hard on Native youth, because it affects our decisions in life, leads to money problems, and we have a lack of role models and people to encourage us. When one parent is gone, Native youth will struggle to find success in life, sometimes because they feel guilt over the absent parent. Research shows that individuals who live in single-parent families as teens received fewer years of schooling and are less likely to attain a bachelor’s degree than those from two-parent families. For example, I live with my mother, and I never met my father. Sometimes, I feel like it was my fault that he left. But I realized that I can’t make decisions for other people. It was his decision to leave. Research shows that 70% of children in low-income families have only one parent supporting them. The lack of encouragement for youth makes them feel like they’re not enough. For instance, my three older brothers had a hard time in school, because my father was not around to teach them, and my mother was always working. Soon they dropped out and started to get in trouble. But eventually, they got their GED and started working. They would have had better opportunities if they had their high school diplomas. 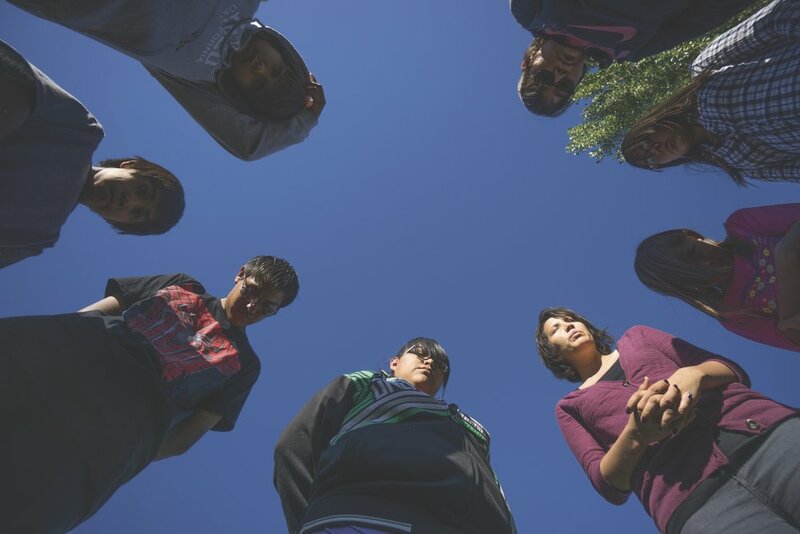 As a result, the more encouragement from adults the better for Native youth in the future. A single parent has to work harder to provide for their families. That’s more stress on the youth, because they might have to take care of the younger siblings in addition to dealing with school. According to Science Daily, children in single-parent households have less family income and are more likely to be poor, than children in married-parent households. In fact, the children of a single teenage mothers spent more time in poverty than children in any other family structure. For example, my mother is a single parent and has five children. When we were little she had to work two jobs to pay for bills, buy groceries, and provide clothing for us. When my brothers got to the age to work, they went and got jobs. All their money went to either paying bills or buying groceries. Dr. Sakari Lemola and Dr. David Richter report that individuals who grow up entirely in a single-parent household will earn an average of 30% less than their peers who grew up in a two-parent household. To illustrate, my mother is unmarried. I’m at risk of earning 30% less than my peers and staying in the bottom third of the income distribution. I intend to avoid poverty by finishing high school, and not getting pregnant at a young age. I know too many people who either got pregnant or didn’t finish high school. Now they still live with their parents. All in all, poverty is a big problem for youth in a single-parent households. The lack of role models in a youth’s life have negative effects. The youth might get into drugs and start slacking in school, or maybe even drop out. Role models can be good or bad. My role model is my mother. She did a lot to provide for my brothers and me. She encouraged me to be independent and to do my best in school, that’s why I’m still in school. If I didn’t have her as my role model, I probably would have given up and dropped out of school. So, role models can make a big difference in a youth’s life. It’s hard on youth when one or both parents are gone. Native Youth will have a better future when there is more encouragement in their life. Poverty can also have a big impact on youth and single parent households. There can be some negative effect on youth, because of the lack of role models. Therefore, the more we help youth like me, the better chance we have of succeeding in life, so be a role model and encourage more youth to be successful. Support legislation that supports programs that help disadvantaged youth. Make friends with people who aren’t like you. Ask questions. Provide experiences and opportunities. Role models have to earn their place. Lose your preconceived ideas about what youth living in poverty need or want. Get to know some real people instead. Remember that youth living in poverty want a hand up, not a handout!